The inaugural Constitution Hill Human Rights Festival celebrates the right to dignity, equality, justice and freedom. 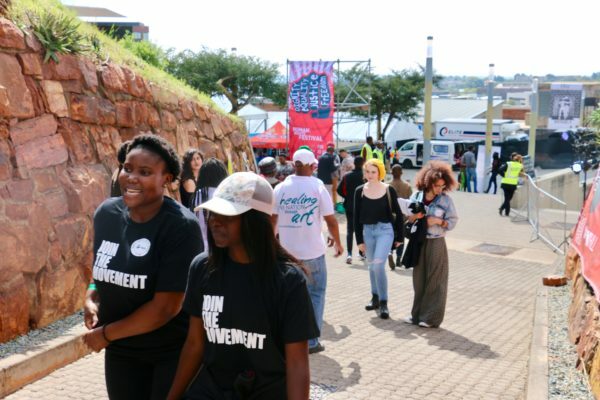 Johannesburg’s Constitution Hill is commemorating Human Rights day this weekend with a festival of activities in collaboration with the city’s social justice fraternity. The inaugural Human Rights Festival is taking place at the home of the Constitutional Court from March 23-25 and consists of round-table discussions and workshops, film screenings, poetry and music concerts, as well as art exhibitions. Development Agency CEO for Constitution Hill, Dawn Robertson, said that the festival is inspired by a similar Parisian festival. “Last year, Constitution Hill was invited by a French newspaper La Liberte to a similar festival which takes place every year and gets over 100 000 people … And, together with our partners at the Ahmed Kathrada foundation, the idea was to go and have a look at that festival and to start something small which could grow into a big festival to celebrate human rights,” she said. “It’s about celebrating what we have achieved and developing action for what we still need to achieve in terms of our constitutional rights, and particularly the right to dignity, equality, justice and freedom,” Robertson added. Ahmed Kathrada Foundation communications officer, Zaakirah Vadi, said that the festival was significant because it takes place almost a year after the passing of anti-apartheid activist and ANC stalwart, Ahmed Kathrada. “For us, being here is a highly significant event because his (Kathrada) whole life has been characterised by standing up for human rights, being a life-long activist, and that’s the type of idea we want to promote here,” Vadi said. “We’ve come a really, really, long way in terms of just being allowed to express ourselves. There were times when we were not allowed to be here, and that’s something to be noted. To have it at the Constitution Hill, I think speaks volumes on its own,” said Matabane. The festival which culminated in the We The People march earlier this morning also includes a poetry session by poet and playwright, Napo Masheane, a musical tribute to Hugh Masekela, and a film screening of controversial local production, Inxeba:The Wound.